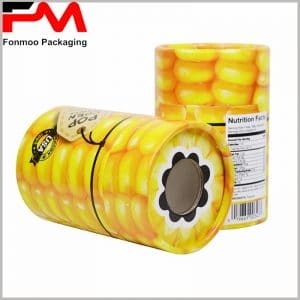 If you are looking for a gift for your product packaging, gift tube packaging, due to its unique shape and cheaper manufacturing costs, can meet your actual needs. At the same time, each printed part of tubebox packaging uses gilded or silver-hot process, as if the gold thread show on the box, extravagant, suitable for a variety of occasions, including parties, birthdays, weddings and so on. These red wedding gift box packaging, are of Chinese style, the diameter is 7.2cm, the height is 6.2cm. Floral lines and large “lucky” are printed using bronzing processing. In particular, dense lines of flowers, like Chinese gold cheongsam’s high-end embroidery, are luxurious and noble. As a result of using cardboard as the main raw material, and copper paper as a bonding paper, its manufacturing cost is not high. Although the gilt process will increase the cost of custom packaging, but it can achieve very good results, the value obtained is much higher than the additional cost. You do not need to worry about the quality of the packaging, we will go through strict quality control procedures to ensure that every round box packaging is of high quality. If you receive the package with any flaws, you can also immediately returned them to us, we will give you a replacement, to ensure that all product packaging are of high quality. If you need more styles of gift box packaging for the installation of chocolate, candy, small gifts, etc., we can provide you. All you have to see is a tube boxes package that we showcase, we can offer more customized packages to your needs, and package design improvements are free.